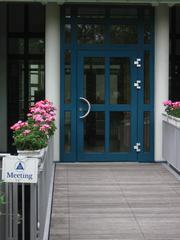 On February the 2nd 1978 the Karlsruhe Open Arms Group were first registered in GSO New York. There has been though an English speaking AA presence in Karlsruhe since at least 1960. Ireland forms its own service structure and Board of Trustees. New Articles of Association to enable GSB (GB) to operate as a commercial charitable company are adopted. Completion of Regional structure in Scotland. Regional structure adopted throughout the UK. Group registrations exceed 1500 in GB, with 80 I/Gs and 14 Regions. First European Service Meeting held in Frankfurt. 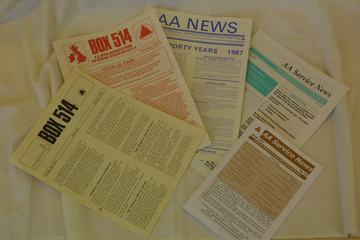 Quarterly Box 514 re-named AA News. 1986 - General Service Office moves to Stonebow House, York. Dispositions Act, having completed its passage through parliament, sponsored by AA, receives Royal Assent giving AA the right to refuse bequests. General Service Office moves to Stonebow House, York.